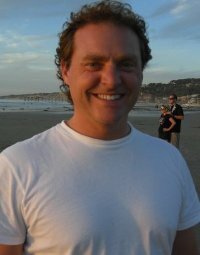 There’s Something About Mike Koenigs?! Video marketing is currently the quickest way to get noticed online and that’s why it plays such a big part in my SEOmethod. Using a service called Traffic Geyser we push out our videos across the web getting us excellent targeted traffic and SEO benefits. But I didn’t write this post to tell you about Traffic Geyser, I wrote it to introduce you to the guy behind Traffic Geyser… Mike Koenigs. He’s pretty well connected in the internet marketing world and also rubs shoulders with the likes of Tony Robbins, Paula Abdul, Deepak Chopra and Debbie Ford. Anyway, recently I had the pleasure of chatting with Mike about the ‘best practices’ of video marketing – about halfway through, the call took an unexpected turn and we started to discuss ‘what it takes to be successful online’. I know you’re going to love the recording and, in hindsight, it’s pretty easy to see why Mike is able to connect with some amazing people – plan and simple, he’s a really nice guy! Click there to download the call and see what I mean. Nice! A lot of people don’t believe me when I say video plays a huge part when it comes to SEO, and this here interview proves it 🙂 What I’m wondering now though, since Facebook has just surpassed Google, how does this play out in the video marketing game?